Like our preschool classrooms, Spectrum Station pre-kindergarten classrooms are also “multi-aged.” They consist of older four and five-year-olds who will attend kindergarten the following year. Our teachers understand that each child develops at his or her own pace during this year before kindergarten and each child will vary dramatically on intellectual and social levels. It becomes even more important to focus on a child's individual successes and to work on areas which need more help. Using the Missouri Department of Education guidelines, our “Passport to Learning” curriculum presents children with specific learning experiences and activities to get them ready for kindergarten. Our program focuses on the social, emotional, intellectual, and physical development of your prekindergarten child. In addition to "passport to learning", our pre-kindergarten teachers implement "Animated-Literacy." Animated-Literacy™ is a comprehensive, research based, multi-sensory approach to reading, writing, and oral language instruction that moves students from the earliest stages of literacy to fluency and independence in reading and writing. "Animated-Literacy" is used in many of the Kansas City metro-area school districts. Teachers assess each child’s specific developmental needs and can focus his or her experiences to achieve goals. Our classrooms are arranged into “discovery centers”, which allow children to explore and experience new theme-based learning materials. 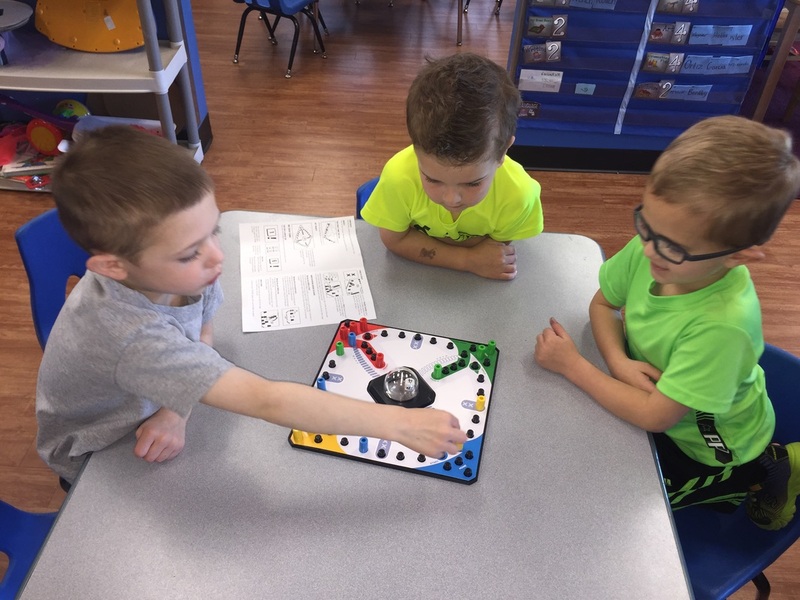 “Discovery centers” also offer children opportunities to learn about social interaction, problem solving, and appropriate behavior. Small group activities allow our teachers to work toward specific developmental goals, such as math concepts, language development, and writing skills. Each day, our teachers complete “Talking Points” for parents. These helpful information sheets list three items to talk about on the way home or in the evening. Parent Information Stations are located in each classroom. These stations display weekly lesson plans, weekly parent newsletters, menus, and “Passport to Learning” curriculum information. Our spacious pre-kindergarten playground contains age-appropriate equipment dedicated just for this age group.